Classic country style milk jug for a country style kitchen. Beautifully designed with decorative heart detailing with matching crockery available. This is a pretty piece of crockery to add to your kitchen servingware. 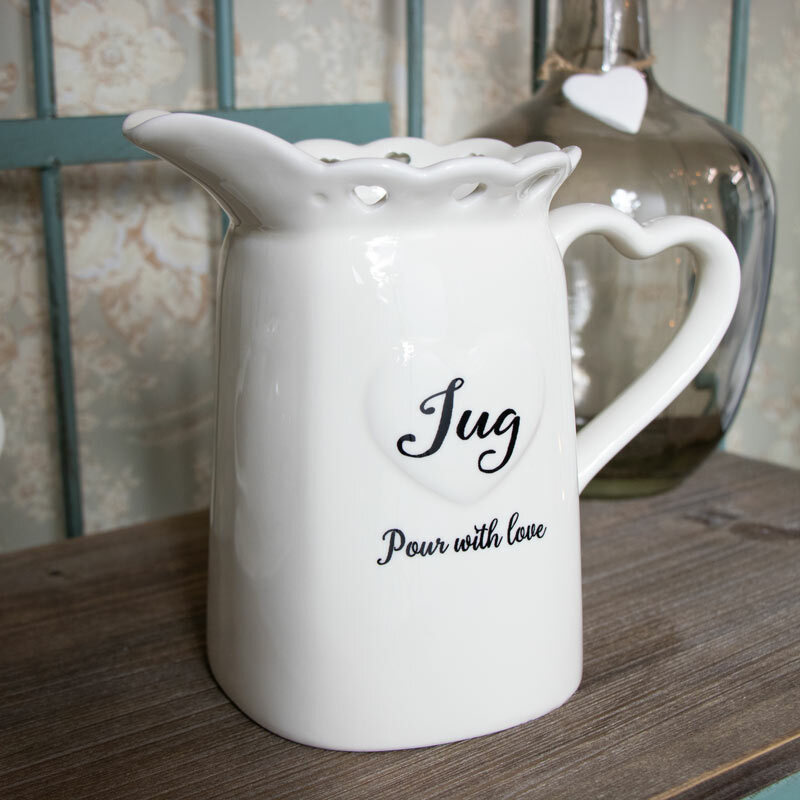 Decorated with an embossed heart and cutout heart detailing, the handle comes in a heart shape making it easy to pour. We have matching crockery available that will add a delightful look to your kitchen. 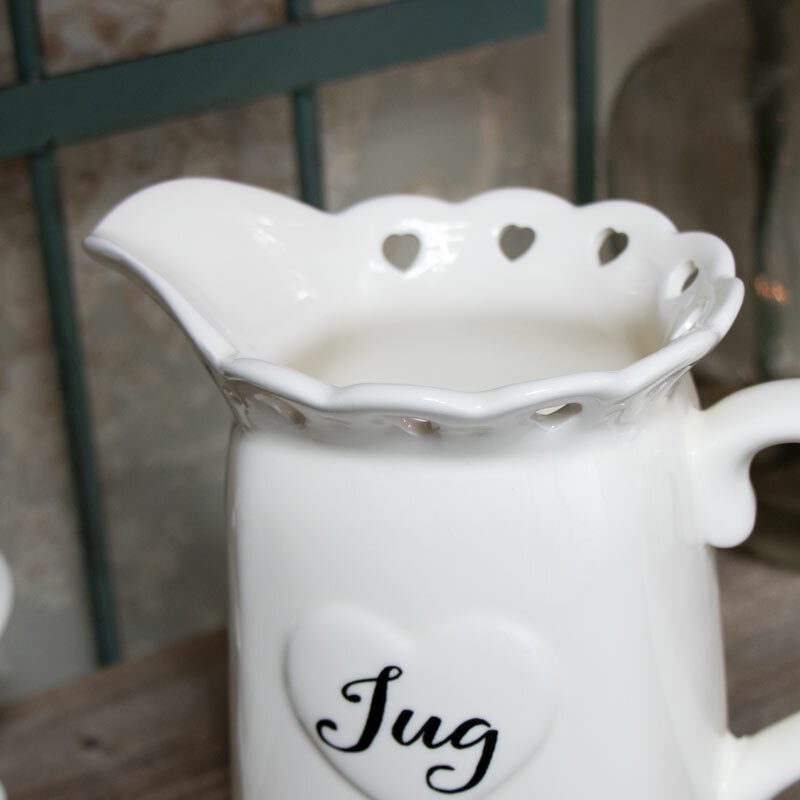 Classic country style milk jug for a country style kitchen. Beautifully designed with decorative heart detailing with matching crockery available. This is a pretty piece of crockery to add to your kitchen servingware. Decorated with an embossed heart and cutout heart detailing, the handle comes in a heart shape making it easy to pour. We have matching crockery available that will add a delightful look to your kitchen.